How can we speak of a dear friend lost far too soon? How can we sum up the lives touched, the friendships built, the family forged? Chef Terri Hutter was small, but you will never meet a mightier woman. 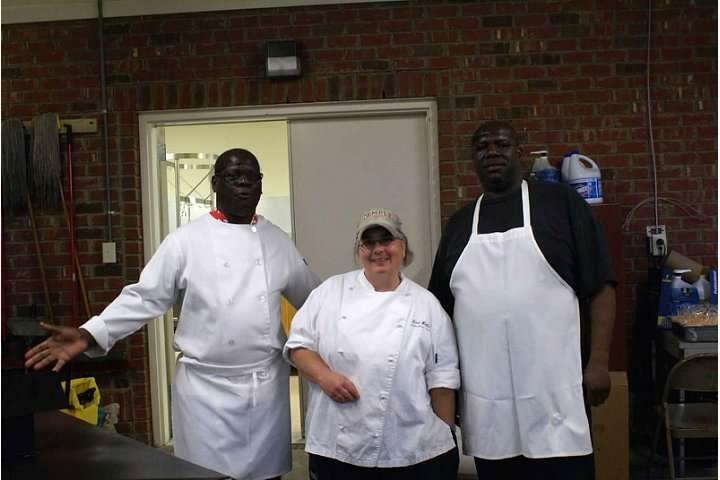 She had awards and accolades as Executive Banquet Chef of the Washington Duke Inn & Golf Club, but then put all that aside to take over the Food Shuttle’s Culinary Job Training Program. For eighteen years she brought her strength, passions, and generosity of spirit to bear in service to our community. During that time hundreds of students benefited, not only from her skill in the kitchen, but from her way of being in the world. All that serious work was always wrapped in Terri’s trademark wit and humor-- sharp and intelligent, but never biting. She was the kind of person who made you feel better the moment she walked in the room. If you knew Terri, you knew a great and giving heart. She had love enough for all—for her husband, Fred; for stray cats, and rescue dogs; for her students, and for her coworkers. 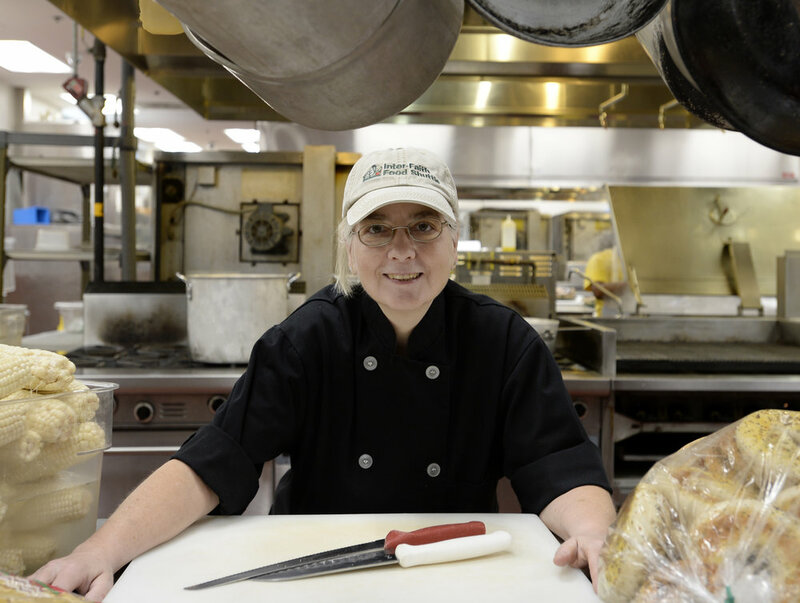 The connections Terri made with her kitchen team are uncommon in the workplace. In truth, they are uncommon even in close friendships. Terri took coworkers and built them into a family. They were all there in her last days … visiting, paying respects, making small gestures of help and support. She passed from this world in the same way she inhabited it … surrounded by her animals, relatives, friends, and her Food Shuttle family. To answer Terri’s question, “What catches your heart?” … YOU do, dear friend, and you always will. Please join family and friends at a Celebration of Terri's Life at St. Philip's Episcopal Church in Durham, on Saturday October 28, 1:30 p.m. in the Parish Hall. Terri wanted people who wished to make a memorial donation to consider the Animal Protection Society of Durham, Independent Animal Rescue, or Inter-Faith Food Shuttle. Or just take a dear friend out to dinner.